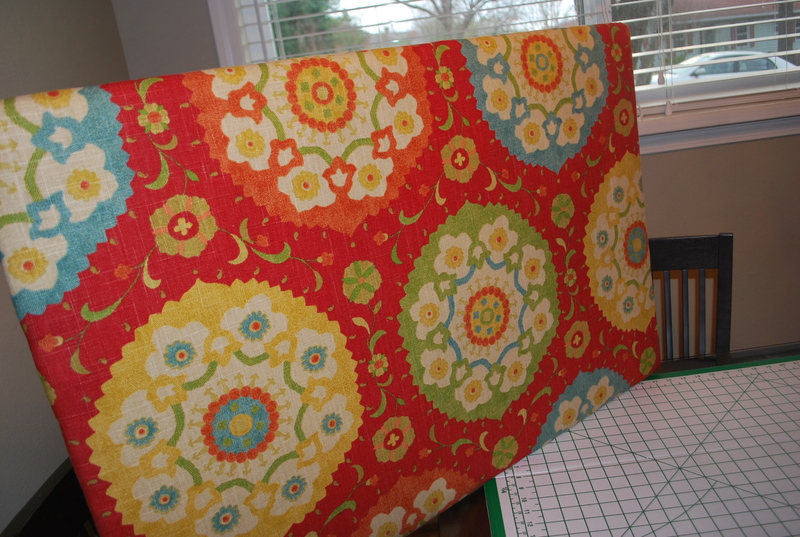 I have wanted a fabric bulletin board for years…literally. Well, I finally made one and I LOVE the way it turned out! Not only was it a fun project, but it was a fairly inexpensive way to create a unique piece for my kitchen. First, I really wanted to frame my board so my mother-in-law graciously provided one. 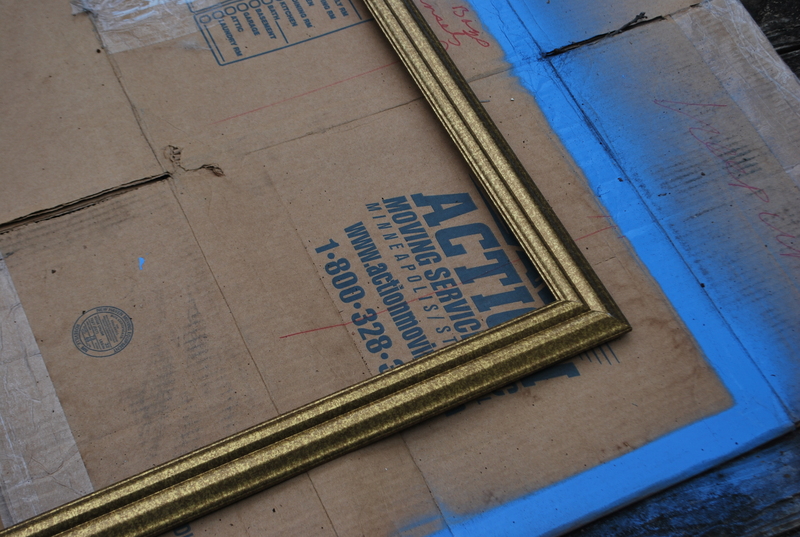 It was the perfect size but the gold finish didn’t fit with the look I was going for. 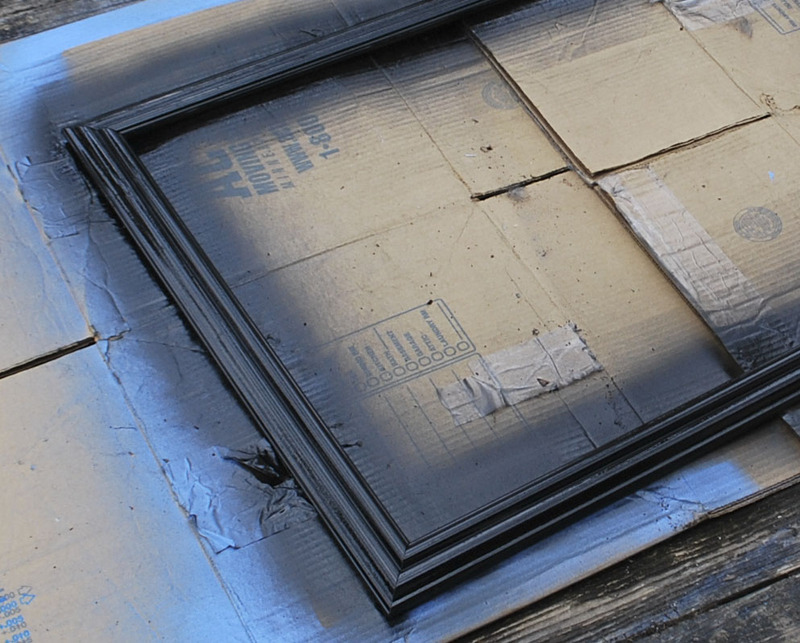 So I spray painted it black and completely fell in love! 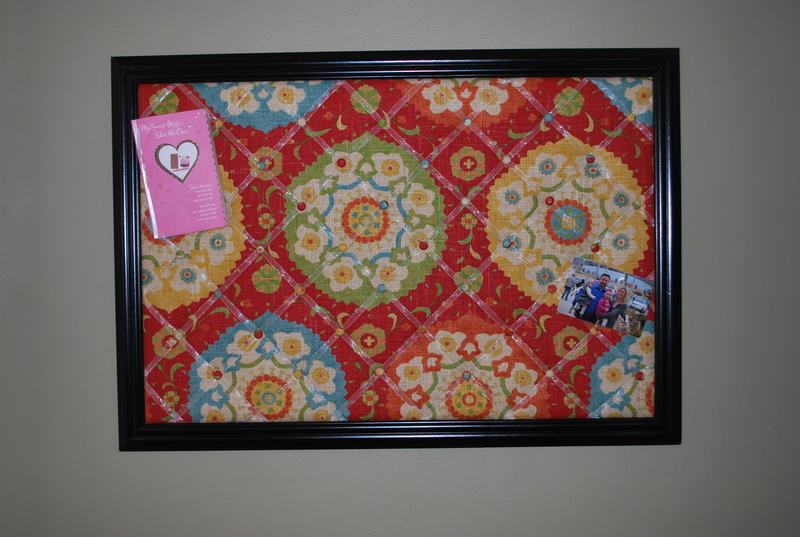 I purchased a 24″x36″ corkboard from Hobby Lobby (using their 40% off coupon), batting and one yard of fabric. I placed the corkboard on top of the batting and fabric, then cut both pieces of material approximately two inches larger than the board. 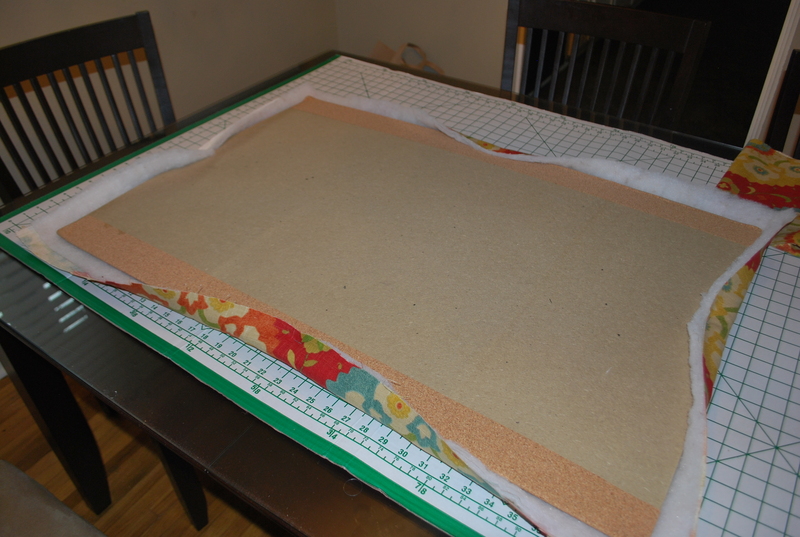 Next, I pulled the fabric taught and stapled it to the board in the middle of each side. I checked the front of my board to make sure the fabric was in the correct position. (If not, simply pull the staples out, adjust fabric and restaple). 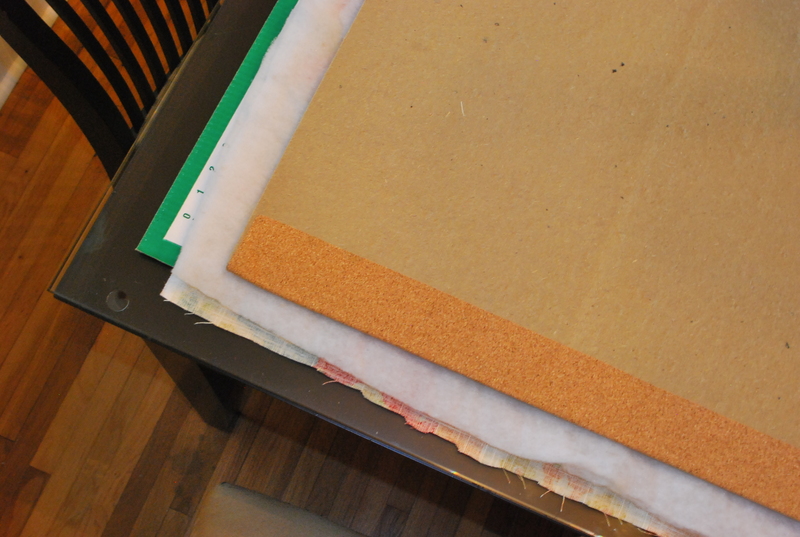 Then, I stapled the edges of the fabric all the way around the board, pulling the fabric tight each time I stapled. Now, time for the finishing touches! I arranged my ribbon in a lattice design. (I got carried away and forgot to take pictures while doing the ribbon portion of my board.) I adhered the ribbon to the back of the board with thumb tacks and hot glue. Once I was satisfied with the ribbon placement, I stuck decorative tacks at each point where the ribbon intersected. (I actually used fabric coverd buttons as my tacks. Again, I neglected to take pictures, so here is an excellent tutorial on how to make fabric covered buttons.) Once I made my butons, I hot glued carpet tacks to the backs. The regular thumb tacks were too short and didn’t stay stuck in the cork board. 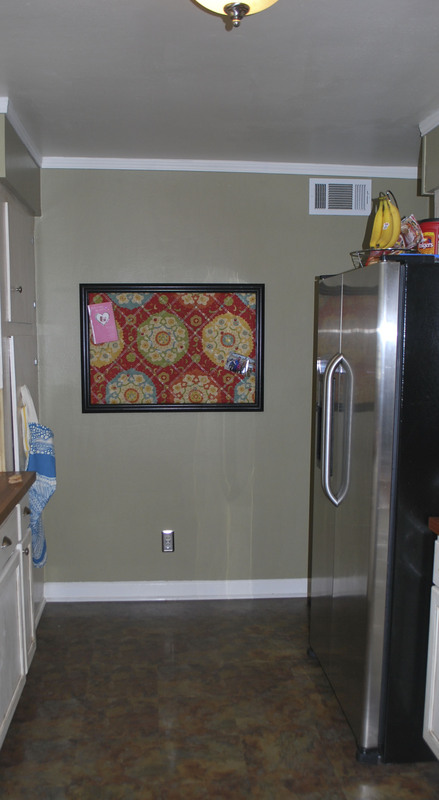 I attached the board to my frame and Nick hung it in the kitchen. 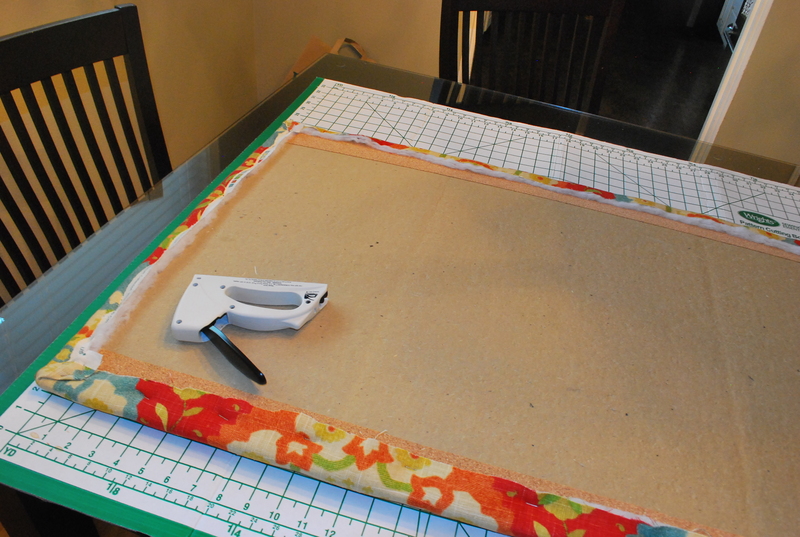 Now go make your own fabric bulletin board!